The Statue of Liberty, a gift of friendship from the people of France to the people of the United States, arrives in New York City's harbor. Originally known as "Liberty Enlightening the World," the statue was proposed by French historian Edouard Laboulaye to commemorate the Franco-American alliance during the American Revolution. 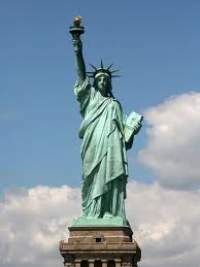 Designed by French sculptor Frederic Auguste Bartholdi, the 151-foot statue was the form of a woman with an uplifted arm holding a torch. In February 1877, Congress approved the use of a site on New York Bedloe's Island, which was suggested by Bartholdi. In May 1884, the statue was completed in France, and three months later the Americans laid the cornerstone for its pedestal in New York. On June 19, 1885, the dismantled Statue of Liberty arrived in the New World, enclosed in more than 200 packing cases. Its copper sheets were reassembled, and the last rivet of the monument was fitted on October 28, 1886, during a dedication presided over by U.S. President Grover Cleveland. 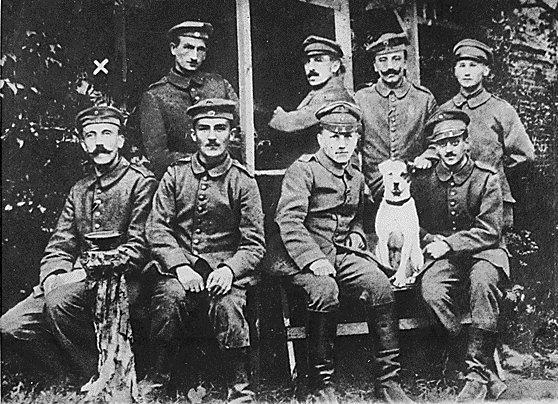 He joined the German Army and was commissioned in the Jaegers in 1908 where he became a communications specialist. He fought in the First World War and afterwards was a member of the right-wing Freikorps group. In 1922 Guderian became Inspector of Motorized Troops. He began to study the [use] of tanks during the war and was greatly influenced by the ideas of British military writers such as Basil Liddell Hart and John Fuller. As a result of his studies he was employed as a teacher of tank tactics. Guderian was appointed commander of a motorized battalion in 1930. While in this post he developed one of companies as a tank scout company, one as a tank company and one as an anti-tank company. Guderian also developed a radio-communication system that enabled communication between tank officers. In 1934 Guderian was appointed chief of staff of the Motorized Troops Command and the following year he took over the 2nd Panzer Division. The other two panzer divisions were commanded by generals whereas Guderian was only a colonel. In February 1938, Guderian was promoted to lieutenant general and the following month was involved in the occupation of Austria. Later that year Adolf Hitler appointed Guderian to the new post of Chief of Mobile Troops. However Guderian had difficulty persuading his senior officers about the importance of tank warfare in any future conflict. Franz Halder, the Chief of General Staff told Guderian that the infantry would always play the most important role in any future war. Guderian led the attack on Poland in September 1939 and his rapid success created shockwaves throughout the world. Despite this easy victory Guderian objected to the planned Western Offensive. When Hitler ordered the plan to go ahead, Guderian, who served under General Paul von Kleist, attacked at great speed and crossed the Meuse near Sedan on 14th May . . . . Promoted to general for his achievements in France, Guderian led the 2nd Panzer Group during Operation Barbarossa. Working closely with Herman Hoth, Guderian's troops took Minsk and Smolensk. In July 1941 he moved into the Ukraine where he captured Kiev before moving on Moscow. Guderian was shocked by the stout resistance of the Red Army and as the severe Russian winter set in he made a limited withdrawal to better defensive ground. Guderian then returned to Germany where he argued with Adolf Hitler about the tactics being employed. After further disagreements with General Fedor von Bock and General Gunther von Kluge, on 25th December 1941 Guderian was dismissed from office. After the defeats at El Alamein and Stalingrad, Hitler decided to recall Guderian and on 1st March 1943 he become commander of Germany's Armoured Troops. Guderian was unable to repeat earlier successes and in July 1943 lost one of the largest tank battles in history at Kursk. On 21st July 1944, Guderian replaced General Kurt Zeitzler as commander of the General Staff. As a result of the July Plot Guderian demanded the resignation of any officer who did not fully support the ideals of the Nazi Party. Over the next few months Guderian sat with Gerd von Rundstedt and Wilhelm Keitel on the Army Court of Honour that expelled hundreds of officers suspected of being opposed to the policies of Adolf Hitler. This removed them from court martial jurisdiction and turned them over to Roland Freisler and his People Court. Although willing to carry out a purge of the German Army, Guderian continued to argue with Adolf Hitler over strategy and on 28th March 1945 he was dismissed from office. Guderian was captured by the US Army on 10th May 1945. Despite claims in the Soviet Union and Poland that Guderian was a war criminal, he was released from captivity on 17th June 1948. Heinz Guderian died on 17th May 1954. Bormann is indicted on Counts One, Three, and Four. He joined the National Socialist Party in 1925, was a member of the Staff of the Supreme Command of the SA from 1928 to 1930, was in charge of the Aid Fund of the Party, and was Reichsleiter from 1933 to 1945. From 1933 to 1941 he was Chief of Staff in the office of the Fuehrer's Deputy and, after the flight of Hess to England, became Head of the Party Chancellery on 12 May 1941. On 12 April 1943 he became Secretary to the Fuehrer. He was political and organizational head of the Volkssturm and a general in the SS. Crimes against Peace: Bormann, in the beginning a minor Nazi, steadily rose to a position of power and, particularly in the closing days, of great influence over Hitler. He was active in the Party's rise to power and, even more so; in the consolidation of that power. He devoted much of his time to the persecution of the Churches and of the Jews within Germany. The evidence does not show that Bormann knew of Hitler's plans to prepare, initiate, or wage aggressive wars. He attended none of the important conferences, when Hitler revealed piece by piece these plans for aggression. Nor can knowledge be conclusively inferred from the positions he held. It was only when he became head of the Party Chancellery in 1941, and later, in 1943, Secretary to the Fuehrer, when he attended many of Hitler's conferences, that his positions gave him the necessary access. Under the view stated elsewhere, which the Tribunal has taken of the conspiracy to wage aggressive war, there is not sufficient evidence to bring Bormann within the scope of Count One. War Crimes and Crimes against Humanity: By decree of 29 May 1941 Bormann took over the offices and powers held by Hess; by decree of 24 January 1942 these powers were extended to give him control over all laws and directives issued by Hitler. He was thus responsible for laws and orders issued thereafter. On 1 December 1942, all Gaue became Reich defense districts, and the Party Gauleiter responsible to Bormann were appointed Reich Defense Commissioners. In effect, this made them the administrators of the entire civilian war effort. This was so not only in Germany, but also in those territories which were incorporated into the Reich from the absorbed, and conquered territories. Through this mechanism, Bormann controlled the ruthless exploitation of the subjected populace. 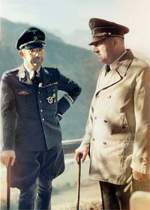 His order of 12 August 1942 placed all Party agencies at the disposal of Himmler's program for forced resettlement, and denationalization of persons in the occupied countries. Three weeks after the invasion of Russia, he attended the conference of 16 July 1941 at Hitler's field quarters, with Goering, Rosenberg, and Keitel; Bormann's report shows that there were discussed and developed detailed plans of enslavement and annihilation of the population of these territories. And on 8 May 1942, he conferred with Hitler and Rosenberg on the forced resettlement of Dutch personnel in Latvia, the extermination program in Russia, and the economic exploitation of the Eastern territories. He was interested in the confiscation of art and other properties in the East. His letter of 11 January 1944 called for the creation of a large-scale organization to withdraw commodities from the occupied territories for the bombed-out German populace. Bormann was extremely active in the persecution of the Jews, not only in Germany, but also in the absorbed or conquered countries. He took part in the discussions which led to the removal of 60,000 Jews from Vienna to Poland, in co-operation with the SS and the Gestapo. He signed the decree of 31 May 1941, extending the Nuremberg Laws to the annexed Eastern territories. In an order of 9 October 1942, he declared that the permanent elimination of Jews in Greater German territory could no longer be solved by emigration, but only by applying "ruthless force" in the special camps in the East. On 1 July 1943, he signed an ordinance withdrawing Jews from the protection of the law courts, and placing them under the exclusive jurisdiction of Himmler's Gestapo. Bormann was prominent in the slave labor program. The Party leaders supervised slave labor matters in the respective Gaue, including employment, conditions of work, feeding, and housing. By his circular of 5 May 1943 to the Leadership Corps, distributed down to the level of Ortsgruppenleiter, he issued directions regulating the treatment of foreign workers, pointing out they were subject to SS control on security problems, and ordered the previous mistreatment to cease. A report of 4 September 1942 relating to the transfer of 500,000 female domestic workers from the East to Germany showed that control was to be exercised by Sauckel, Himmler, and Bormann. Sauckel, by decree of 8 September, directed the Kreisleiter to supervise the distribution and assignment of these female laborers. 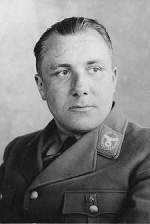 Bormann also issued a series of orders to the Party leaders, dealing with the treatment of prisoners of war. On 5 November 1941, he prohibited decent burials for Russian prisoners of war. On 25 November 1943, he directed Gauleiter to report cases of lenient treatment of prisoners of war. 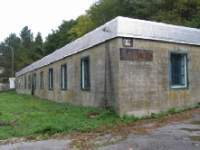 And on 13 September 1944, he ordered liaison between the Kreisleiter with the camp commandants, in determining the use to be made of prisoners of war for forced labor. On 29 January 1943, he transmitted to his leaders OKW instructions allowing the use of firearms, and corporal punishment, on recalcitrant prisoners of war, contrary to the rules of land warfare. On 30 September 1944, he signed a decree, taking from the OKW jurisdiction over prisoners of war, and handing them over to Himmler and the SS. Bormann is responsible for the lynching of Allied airmen. On 30 May 1944, he prohibited any police action or criminal proceedings against persons who had taken part in the lynching of Allied fliers. This was accompanied by a Goebbels propaganda campaign, inciting the German people to take action of this nature; and the conference of 6 June 1944, where regulations for the application of lynching were discussed. His counsel, who has labored under difficulties, was unable to refute this evidence. In the face of these documents, which bear Bormann's signature, it is difficult to see how he could do so, even were the defendant present. Counsel has argued that Bormann is dead, and that the Tribunal should not avail itself of Article 12 of the Charter, which gives it the right to take proceedings in absentia. But the evidence of death is not conclusive, and the Tribunal, as previously stated, determined to try him in absentia. If Bormann is not dead, and is later apprehended, the Control Council for Germany may, under Article 29 of the Charter, consider any facts in mitigation, and alter or reduce his sentence, if deemed proper. Conclusion: The Tribunal finds that Bormann is not guilty on Count One, but is guilty on Counts Three and Four. The Reich Labor Service is a training school in which the German youth should be educated to national unity in the spirit of National Socialism. What religious beliefs a person has is not a decisive factor, but what is decisive that he first of all feels himself a German. All confessional discussions are forbidden in the Reich Labor Service because it disturbs the comrade-like harmony of all the Labor Servicemen and the Labor Service women. This is also the reason why participation of the Reich Labor Service in revivals and other meetings and festivals of religious character are impossible. The Petain Cabinet takes office and publicly announces it has asked Germany for an armistice. British troops evacuate France in Operation Ariel, an exodus almost on the order of Dunkirk. 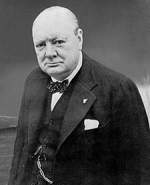 Meanwhile, British Prime Minister Winston Churchill offers words of encouragement in a broadcast to the nation: "Whatever has happened in France . . . [w]e shall defend our island home, and with the British Empire we shall fight on unconquerable until the curse of Hitler is lifted." With two-thirds of France now occupied by German troops, those British and Allied troops that had not participated in Operation Dynamo, the evacuation of Dunkirk, were shipped home. From Cherbourg and St. Malo, from Brest and Nantes, Brits, Poles, and Canadian troops were rescued from occupied territory by boats sent from Britain. While these men were not under the immediate threat of assault, as at Dunkirk, they were by no means safe, as 5,000 soldiers and French civilians learned once on board the ocean liner Lancastria, which had picked them up at St. Nazaire. Germans bombers sunk the liner; 3,000 passengers drowned. What General Weygand called the Battle of France is over. I expect that the Battle of Britain is about to begin. Upon this battle depends the survival of Christian civilization. Upon it depends our own British life, and the long continuity of our institutions and our Empire. The whole fury and might of the enemy must very soon be turned on us. Hitler knows that he will have to break us in this Island or lose the war. If we can stand up to him, all Europe may be free and the life of the world may move forward into broad, sunlit uplands. But if we fail, then the whole world, including the United States, including all that we have known and cared for, will sink into the abyss of a new Dark Age made more sinister, and perhaps more protracted, by the lights of perverted science. Let us therefore brace ourselves to our duties, and so bear ourselves that if the British Empire and its Commonwealth last for a thousand years, men will still say: This was their finest hour. Arms: French representatives in the US allow the British to take up arms orders they have placed under the "Cash and Carry" rules. I. The cooperation between the Baltic States of Estonia, Latvia, and Lithuania is based on the Treaty of Mutual Understanding and Cooperation concluded for ten years by these three States on September 12, 1931. In addition, Latvia and Estonia signed a mutual defense pact on November 1, 1923. In practice, the political cooperation consisted mainly of semiannual conferences of Foreign Ministers and joint press conferences; on the other hand, there has often been an abundance of discord and rivalry within the Baltic Entente. Latvia and Estonia explicitly indicated their disinterestedness in the Memel and Vilna questions, which were important to Lithuania. The assertion, now made by Russia, that Lithuania had joined the Estonian-Latvian military pact, is, according to information available here, without any foundation. Because of the very similar economic structure of these countries, the economic cooperation between the three States, in spite of much effort during the last few years, made no appreciable progress. Since the conclusion of the Soviet Mutual Assistance Pact with the Baltic countries in September-October 1939 there has been no closer cooperation in an anti-Russian sense among the Baltic States. In view of the occupation of their countries by Soviet Russian troops, the three Baltic Governments were aware of the danger of such a policy. II. For the same reason, there can be no question-during the last few months-of dependence in foreign policy on Germany by the Baltic States. The Lithuanian Government, to be sure, has probably not been quite certain until the last few days whether or not we were politically completely disinterested in Lithuania, so that in many circles, as for instance in the case of the Lithuanian Minister here, there was perhaps some hope that Germany would, in case of further Russian demands, put in a good word for Lithuania in Moscow, although there was never, of course, any occasion given on our part for such an assumption. On the other hand, our economic relations with the Baltic States have been strengthened very much since the beginning of the war. Regarding the great importance of the Baltic States to the war economy of the Reich, please see the attached memorandum from Minister Schnurre. The economic importance of the three Baltic States for our supply of food and of raw materials essential for war has become quite considerable as a result of the commercial treaties concluded with these three States during the last year. In the course of the last six months, we have furthermore concluded secret agreements with all three States whereby the entire export of these countries, except the small part going to Russia and another small portion which goes to neutral countries, will be sent to Germany. That means for all three States about 70 percent of their total exports. German imports from the three Baltic States will in the current year amount to a total of approximately 200 million Reichsmarks-comprising grain, hogs, butter, eggs, flax, lumber, seeds, and in the case of Estonia, petroleum. The consolidation of Russian influence in these areas will seriously endanger these necessary imports. For one thing, the Russians will do their utmost to keep the raw materials, and especially food, at home for their own use. On the other hand, if part continues to go to Germany, they will make quite different demands in regard to deliveries of German products from those made in the past by the Baltic States, so that in effect the previous exchange of goods will break down. We were able to make the deliveries desired by the Baltic States much more easily, and in many cases, under the stress of circumstances, we were able to put these States off till later. In contrast, the economic interests of the Soviet Union in the three Baltic States are of minor importance. The Soviet Union was able to secure only about 10 percent of the export trade of these countries for itself by means of the treaties it recently concluded. For information and the orientation of your conversation. The unresisted reinforcement of Russian troops in Lithuania, Latvia, and Estonia and the reorganization of the Governments of the Baltic States, sought by the Russian Government to bring about more reliable cooperation with the Soviet Union, are the concern of Russia and the Baltic States. Therefore, in view of our unaltered friendly relations with the Soviet Union, there is no reason for nervousness on our part, which some of the foreign press has tried to impute to us in only too transparent a manner. Please refrain from making any statement. USA:The Army weekly newspaper, Yank coins the term GI Joe in a comic strip drawn by Dave Breger. Note: Breger was the American comic artist who introduced the term 'GI Joe' to the world. He grew up in the city of Chicago, where he encountered the Chicago gangsters on several occasions, while working at his father's sausage industry. In the 1930s, he took on cartooning and sold his gag panels to several newspapers. He entered the army during World War II. At the same time, he used his experiences as a soldier in a comic panel series Private Breger in 1941. His cartoon panel was soon featured in the army magazine Yank, but it couldn't appear under the syndicated name. Therefore, Breger came up with the title GI Joe (as in Government-Issue Joe), and the comic began its run in June, 1942. The strip knew such popularity, that within no time, "GI Joe" replaced the word "Yank" as the popular term for American foot soldier. See also 1963 (below). North Africa: The first American expeditionary force lands in Africa. Leaving behind a garrison of some 30,000 troops, the British Eighth Army withdraws from Tobruk. The situation, which is developing in the Northern Area of the Pacific Ocean and in the Alaskan Area, presents tangible evidence that the Japanese Government may be taking steps to carry out operations against the Soviet Maritime Provinces. Should such an attack materialize the United States is ready to assist the Soviet Union with American air power provided the Soviet Union makes available to it suitable landing fields in the Siberian Area. The efforts of the Soviet Union and of the United States would of course have to be carefully coordinated in order promptly to carry out such an operation. Ambassador Litvinov has informed me that you have signified your approval of the movement of American planes via Alaska and Northern Siberia to the Western Front and I am pleased to receive this news. I am of the opinion that in our common interests it is essential that detailed information be immediately initiated between our joint Army, Navy and Air representatives in order to meet this new danger in the Pacific. I feel that the question is so urgent as to warrant granting to the representatives of the Soviet Union and the United States full power to initiate action and to make definite plans. For this reason I propose that you and I appoint such representatives and that we direct them immediately to confer in Moscow and Washington. The symptoms created by the recruiting of workers are, no doubt, well known to the Reich Minister through reports and his own observations. Therefore I shall not repeat them. It is certain that a recruitment of labor in the true sense of the word can hardly be spoken of. In most cases it is nowadays a matter of actual conscription by force . . . . But as the Plenipotentiary General for the Allocation of Labor (Fritz Sauckel) explained to us the gravity of the situation, we had no alternative. I consequently have authorized the commissioners of the areas to apply the severest measures in order to achieve the imposed quota. That a lowering of morale is coupled with this needs no further proof. It is nevertheless essential to win the war on this front too. The problem of labor mobilization cannot be handled with gloves. War at Sea: The British battleships Valiant and Warspite are transferred from Scapa Flow to Oran and Alexandria in North Africa in preparation for Operation Husky, the Allied invasion of Sicily. President Franklin D. Roosevelt's secretary of war, Harry Stimson, phones then-Missouri Senator Harry S. Truman and politely asks him not to make inquiries about a defense plant in Pasco, Washington. World War II was in full swing in 1943 and Truman was chairing a Senate committee on possible war profiteering committed by American defense plants. In the process of investigating war-production expenditures, Truman stumbled upon a suspicious plant in the state of Washington and asked the plant managers to testify in front of the committee. Unbeknownst to Truman, this particular plant was secretly connected with a program to develop an atomic bomb—"the Manhattan Project." When Stimson, one of a handful of people who knew about the highly classified Manhattan Project, heard about Truman's line of questioning, he immediately acted to prevent the Missouri senator from blowing the biggest military secret in world history. On June 17, Truman received a phone call from Stimson, who told him that the Pasco plant was "part of a very important secret development." Fortunately, Stimson did not need to explain further: Truman, a veteran and a patriot, understood immediately that he was treading on dangerous ground. Before Stimson could continue, Truman assured the secretary "you won t have to say another word to me. Whenever you say that [something is highly secret] to me that's all I want to hear. If [the plant] is for a specific purpose and you think it's all right, that's all I need to know." 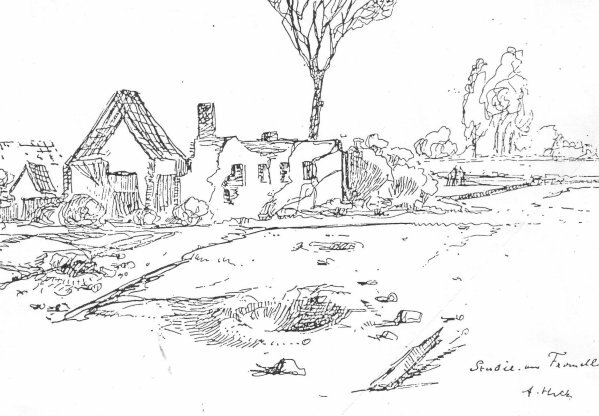 Stimson replied that the purpose was not only secret, but "unique." America's secret development of the atomic bomb began in 1939, with then-President Franklin Roosevelt's support. Even after Truman became Roosevelt's fourth-term vice president in 1944, the project remained such a tightly controlled secret that Roosevelt did not even inform Truman that it existed. Only after Roosevelt died from a stroke, in early April 1945, did Stimson inform Truman of the nature of the Manhattan Project. The night Truman was sworn in as Roosevelt's successor he noted in his diary that Stimson told him the U.S. was "perfecting an explosive great enough to destroy the whole world." Italy: German troops evacuate the island of Elba off the west coast of Italy. Dr Kubuschok: Witness, how did you think the position of the churches was safeguarded by the new Government, and what did you do in that respect? Von Papen: First of all, I asked Hitler to make a clear-cut statement on this question; and he did so in a positive manner. In the foreword to my speeches made at that time, there is the observation that it is the first and most important task to revise the Nazi program with reference to the religious problem, since such a revision is a prerequisite for a united front of the two Christian confessions in that coalition. Secondly, I attempted to protect Church policy by giving it, after the conclusion of the Concordat, a certain foreign political context . . . .
Dr Kubuschok: What were the events leading up to the Concordat? Von Papen: I reiterate that I wanted to secure a Christian basis for the Reich at all costs. For that reason, I suggested to Hitler in April 1933 that the rights of the Church should be firmly laid down in a Concordat, and that this Concordat should be followed by an agreement with the Evangelical Church. Hitler agreed, although there was strong opposition in the Party; and thus the Concordat was concluded. The Prosecution has adopted the view that this Concordat was a maneuver intended to deceive. Perhaps I may in this connection point to the facts that the gentlemen with whom I signed this Concordat were Secretary of State Pacelli, the present Pope, who had known Germany personally for 13 years, and Monsignor Kaas, who for years had been the Chairman of the Center Party, and that if these two men were willing to conclude a Concordat, then one can surely not maintain that this was a maneuver intended to deceive. 1956 Death: Paul Rostock: German official, surgeon, and university professor. He was Chief of the Office for Medical Science and Research (Amtschef der Dienststelle Medizinische Wissenschaft und Forschung) under Third Reich Commissioner Karl Brandt. Rostock was a defendant in the Doctors' Trial. Because of his very high position, Rostock was implicated in several series of medical experiments on concentration camp prisoners. He was found not guilty and released in August 1947. For ten days [in 1945] we motored out to Glucksberg from Flensburg every day and spent the entire day interrogating Albert Speer. Speer could speak English fairly well but obviously many of his records were in German and sometimes he liked to speak in German. His secretary did the translation and the transcription of the record of the interrogation. It became evident right away that Speer was concerned that he might be declared a war criminal. His best defense was to collaborate fully with us and so he leaned over backwards to collaborate fully with us. He not only told us, I think honestly, the answers to the questions that we had in mind but also directed us to where we could find the pertinent records of what he had done during the period, including his personal reports to Hitler from time to time. Many of these were in a safe in Munich. He gave us the keys to the safe and combination, and we sent somebody down to get these records. That was a fascinating ten days where you could really get the substance of the answers to most of the questions that we had in mind. After ten days of these interrogations General Rook got a hold of me one evening and he said, "Paul, if you've got any further things you want to find out from Speer you'd better get him tomorrow, because I've got orders that the day after tomorrow I'm to liquidate this enclave and arrest all these people." So then I got a hold of my fellow USSBS directors and said, "What do we do? We've got one more day to make up our minds what further questions we want to ask Speer." I forget who suggested, "Well, you know there's really a deeper question, and that is, should we continue to ask him about the last days of the Hitler regime. It was clear he had left just a few days before Hitler committed suicide and he participated in all those last days of the Reich. So we decided to hell with business, this is more interesting. We had worked hard and we thought we'd really covered everything that was really important. So we got Speer that last day to tell us about his life with the Nazi party, particularly concentrating on the last days of the Hitler regime. It was an absolutely fascinating story.